In December of 2012, Michael Junge filed a complaint with the Fillmore County Sheriff's Department. According to him, multiple bags of frozen gopher feet had been stolen from his property between the dates of November 23 and December 5. Now before you go thinking that Michael is some sort of serial killer in training, you should know that he has been trapping gophers and removing/freezing their feet for the last 20 years. Okay...that probably didn't help alleviate your level of fear and/or disgust, but he had a good reason for killing all those little critters and keeping such macabre souvenirs. 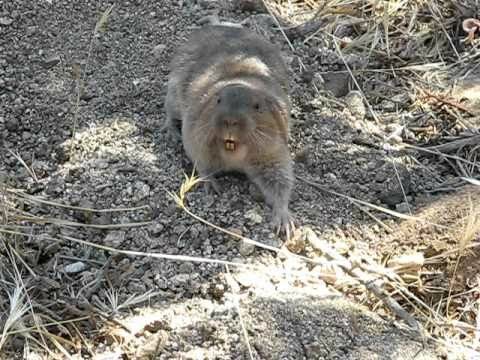 In an interview with KAALtv.com, Michael explains that he started out trapping them for a farmer that he worked for who was looking to get rid of the troublesome rodents (as adorable as they may look, gophers can wreak havoc on crop field). It also turns out that some townships in farming communities will pay $3 per pair of gopher feet as a bounty for the service of offing the little pests. With this in mind, Michael decided to reinvent himself as the Gopher Angel of Death. 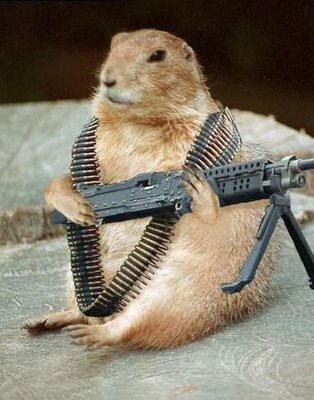 While no figures were given as to how many he had killed over his entire lifetime, the amount reportedly taken during the two week span that batch went missing was approximately 1,400 pairs of gopher feet...which translates into about $4,200 in reward money. My first thought was that this seems like a bit of a waste of money for a local government. My second thought was HOLY CRAP WHAT HAVE I BEEN DOING WITH MY LIFE?! Does this mean that I could have been going on occasional gopher killing sprees to supplement my income or pay for a nice vacation? Or maybe I could have really gone all out and dedicated my life to mass gopher genocide, living a life of luxury while becoming a deadly legend anywhere that burrowed holes into the soft earth were found. "Some say that the Death Dealer can blend in...even look like one of us..."
But I digress...Michael was missing his gopher feet and he was understandably pissed off about it. Fortunately for him, there is (probably) not a very high street market price for his stolen goods; it's the type of thing that most definitely needs to be turned into a government authority to receive proper compensation. So when 37-year old Tina Marie Garrison and her 18-year-old son Junior Lee Dillon turned in $1,041 worth of gopher feet back in November, it may have raised a few eyebrows. 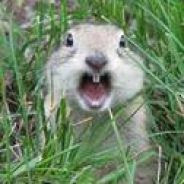 But when the mother-son duo tried to turn in $3,780 worth of gopher feet the very next month, there was no doubt that something wasn't right...or in the understated words of the township clerk who paid out the bounty, that many gopher feet turned in at one time seemed "unusual." On May 2, Tina and Junior were arrested and charged with receiving stolen property and theft. Tina has pleaded not guilty while also completely throwing another one of her children under the bus. According to her, the ill-gotten gopher feet were given to her by her oldest son...who innocently "got them from a friend." Junior, on the other hand, has decided to go with straight up denial as his defense; he claims that he never actually turned in the gopher feet and that someone else may have used his name when the bounty was collected. It's also worth noting that Junior dated the daughter of Michael's girlfriend, meaning that there may have been a personal motivation to stealing from him...and also begs the question about what type of things does a woman NOT put up with in a relationship when she's willing to let you keep large stockpiles of gopher feet in the garage? Junior's hearing (where it looks like he may also plead not guilty) will be held next month. Bail for both Tina and Junior (who are still apparently behind bars) has been set at $10,000. ...or approximately $3,333 gopher feet. To get updates on when new articles or podcasts are published (and occasional random musings) 'Like' the official RamblingBeachCat.com Facebook page. 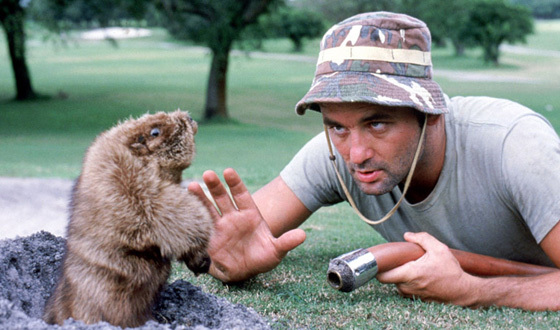 Every time someone does, a gopher gets its feet back.